"You and your pseudo-Occult teachings set a dangerous precedent. You are clearly esoterically educated, but your conclusions and teachings are counter-productive to all of us who have worked diligently to raise the awareness of consciousness on this planet." I used to love those good old Occult "we are right, you are wrong" spats. The arguments, though, now always seem to digress to the absurd. "English has no mystical insights". "It is a "modern language" with no tradition or esoteric historical basis, and only Hebrew contains a traditional and time tested esoteric code contained within." The implied conclusion is that Kabballah must, by default, be granted a free pass to spiritual and intellectual supremacy. As a Hermeticist, and to all of us that seek after the Hermetic Arts, the very idea that we should deny one set of knowledge in favor of another is anathema to evil. Hermetic wisdom questions all as to their ways and learns the secrets that they hold. We then embed this knowledge into forms of crystallized thought. In this way we preserve knowledge and contribute to the Great Work. One of these great experiments was and continues to be the esoteric constructions contained within the English Letters/Alphabet/Language. This implies that there was (at minimum) a conscious interjection into the language. To assume otherwise is really naive and simple. Of course there was a conscious imposition and influence on the language. The development of the rules of grammar represent just such a conscious imposition. Rules of grammar are developed over years of conscious thought as to how to improve the language so that it better enables the communication of one's thoughts. To take this quite profane conscious imposition on the language as the development of the rules of grammar to that of an embedding of a philosophical construction within the language is really not that far of a theoretical leap. Francis Bacon did write, after all, "Read. Not to take for granted - but to weigh, to consider." In order for their to be an esoteric, or philosophical construction, embed into the English language, it would first be necessary to construct the language. That this was possible could be ascertained through a study of the construction of languages as an academic exercise. At the turn of the 19th century, there were approximately 50 active "universal constructed language projects" being advanced. Of these 50 projects, the project that seems to have won out over the others is a constructed language known as "Esperanto". 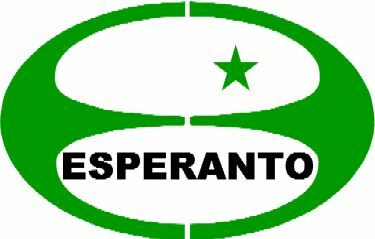 Today, some 120 years after the conceptual creation of Esperanto, the Esperanto project has attracted the dedicated efforts of some 10's of thousands of motivated individuals working tirelessly to create, refine, and advance, the language. Now take the above reality and transpose it to the Occult. Who really believes that the proponents and practitioners of Esperanto can truly compare to the Occult force latent within the structure of Western civilization? What was "Speculative Freemasonry" in its purest form was really the Occult (hidden) organization behind the esoteric constructions set within English. Compare the tens of thousands of very talented individuals laboring on behalf of Esperanto over 120 years against the 100's of thousands of Freemason's, a fraction of number of individuals of the movement that would represent the intellectual elite over 100's of years, laboring to create a language that embed a philosophical truth that could never be destroyed. Said James Brown in 1845 in a work entitled,"English Syntithology"
"Language is the only thing in which thought is presented as a science. And although it is said again and again that the pupil may attend to the philosophy of language after he shall have acquired the grammar of it yet, it is a truth which cannot be controverted that the constructive philosophy and the grammar of a language are the same thing. " "...What is English grammar, but a portion of the philosophy of the English language? He, therefore, that studies grammmar, studies the constructive philosophy of language. And in the study of a grammatical system, grammar is attended to no further than that system is founded on the philosophy of the language. English Grammar is but a "portion of the philosophy of the English language". Now lets put this back into context relative to the Isisian Codes and Occult de-constructions. English Grammar is but a part of the larger Philosophy that is contained within the English language. Everything from sentence structure to parts of speech, such as NOUNS, VERBS, PREFIXES, etc., carry key cipher material that hints at the relationships of letters to numbers to sounds as well as the larger Philosophical construct. For example. Take a look at the All Seeing Eye. It has its primary philosophical construction, and yet there are layers of philosophical constructions. 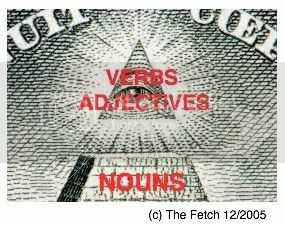 "VERBS", for instance, are not material things. Verbs have an effect on material things, or inform as to what a material thing is doing or involved in. Sally is the noun. You can touch Sally, but you cannot touch the conceptual which is defined as "run". We can SEE Sally run, but we cannot physically touch the concept known as "run". We might be able to touch Sally while she is running, but still, we only can touch Sally. Now expand the concept. Sally JUMPS. Sally SLEEPS. Sally FALLS. We cannot TOUCH the ACTION, only the NOUNS that are modified by the ACTION. Now set this concept against the All Seeing Eye. We then must equate the VERBS and the ADJECTIVES to being elements of the EYE, for it can be seen but not physically touched, while the NOUNS are below and hence are a part of the "understanding". In the word NOUNS we have a very simple cipher. SOUND is that which is generated from the action of wind or other other objects striking another. NOUNS become a cipher for a philosophical conceptual relative to SOUND and the need for a physical medium upon which to project same. Phonetically expand it to read VERBEH (taking note of the expanded air generated as the word envelope is collapsed). Reverse the word to HEBREV. Then make the phonetic transpostion of W to V (VolksVagen). What you create is the word HEBREW. Now all you have to do is fuse the word to some clever mythology as to Beacons of Light and equating the word to that of the Sun in some form or fashion and the spell is complete. Now let's de-construct the word ICICLE. We know that ICE, or I SEE, is a code that refers to those who have arisen above the waves of delusion, represented by the oceans and seas or Typhon. 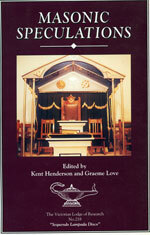 ICE, when it reaches "32 degrees" as in 32 Masonic degrees, rises above the surface. When it reaches boiling point, or 212 degrees (f), we simply divide this number into 666 to arrive at 3.1415, or Pi, and the water changes again to vapor (spirit) and returns as to the Sun from which it came just as the spirit leaves the body within which it dwelled. ICE is the root word. In the word ICICLE we have, then, a philosophical riddle. If ICE is ICE, then what exactly is ICLE? We have IC again, and we have LE, or EL. The simple way to break this down is to understand that an ICICLE "hangs upside down". In this way, it is fused to the 12th card of the Major Arcanum, or ODIN, who hands upside down for 9 days and 9 nights while he spies the runes and learns of the wisdom contained within them. Reverse the code of ICLE to read ELCI, or EL (Odin) Sees. I guess we could demonstrate this further, but I trust that those of you attuned to this work understand now precisely the manner in which the code is derived. EL is the 12th Letter of the Alphabet. This Letter is fused to the 12th Card of the Major Arcanum of the Tarot, or the Hanged Man. El is Odin and the One Eye'd God. This is a transposition back to Osiris or Horus. Kabballah has no place at the table. How right you are re Hebrew/English etc. It was the sole intention of the brethren to guide and engineer the Kabbalah from its distant past to a new home in the West. It was guided and engineered along with countless texts, with the intention of embedding the method into French, Italian, Spanish. German. Flemish and English, to name but a few nations. They even got it to the good ol' u s of a, through Bacon's efforts, backed by King james. We write, read and speak an engineered alphabet, we praise their god with each letter that we utter. The thing is too big and complex for just one man to deal with. I have tried for a long time to collect everything into one book, but each time I try, I end up collecting even more stuff. If you are into the abc, then I have some good stuff, which is beyond the critics. You know the stock phrases: "anything can be done with anagrams" or "using numerology is silly, its just playing around, it doesn't mean anything" Well, I say its payback time. Nice insightful comments again. I can relate to what you are saying when you try to aggregate everything into one book and then the more you dig into it, the more information you uncover. I remember in 2002 I thought I was ready to release a comprehensive book, only to get stumped on the first couple chapters and in the process realizing I was making some oversights. Oversights in this business is akin to an error or omission. You go back and research what insights you get, and dig up more. But we have to look at the alternatives. We can go back and spend time in Crowley and the others, and they are part of the deception more than the revelation. It is too big for one person, but I sorta like the challenge. BTW - anything you can add to the body of work here, I would love to get my hands on. Anyway, I dumped all my notes, got into other stuff, until one day, saw all these people arguing about Shakespeare - who it was who was behind the name, and Bacon's name came up. I've been on his heels ever since. Got some astonishing results, and laughed when I realised what he had done. Everyone read his Advancement of Learning, the bit about what he called his bilateral Kay cipher, and even give examples. Of course, everyone tries to decode Shakespeare using the thing, but I thought, hold on, how stupid is that? Give everyone the key to your ciphered messages! In the 17th century, when they di really bad things if they suspected you of anything. No, he didn't give the keys away. He planted a seed in a red Herring. What he expected, was for the inquisitive to learn what he'd done. We advance towards his hidden methods by learning. And that is achieved by trial and error, plus loads of time, plus pure focus on the subject. I know you have as much interest as I in these things, and so I will divulge to you. See how it goes. Firstly, consider only two alphabets: the Greek 24 letter, as an 8 by 3 table, and the Latin 23 letter abc, set out as the Greek, but of course a 'cornerstone' is missing. It will be put in place later, thus making the Elizabethan 24 letter table. The stuff I have is absolutely mind blowing. So we need to take small steps. Tell me Fetch, how do you convert your letters into numbers? do you use a calulator or just in your head? What I mean is, if you have a name like say, Pythagoras, how would you convert it into a number? I am having great problems getting my act together, and am in process of sorting my blog. Can you have a look at it as it stands? I wonder if your visual/lateral skills are up to it. Oh, by the way, onw of the images has vever been seen on the web, until now of course. I use the D to represent the relationship of the Sun to the Horizon. As they say, there is often an acroamatic component when it comes to esoteric ciphers. In one representation, we create a larger "shen bun" or "cradle". Which image is virgin? And why is the one image have part of the image removed? Can this be fixed? Fetch you have blown me away. Upon returning from taking care of things, I am so amazed by the information you have given. Mike Thomas: I had peek c over at your blog and I must say I am looking forward to many more! Thank you. This truly was a really neat article Dennis. Im ready -- "Blow our minds!" You always have a choice to change anything. You always have a way out. Speaking is a thought - out. To have Choice in a Matter that Matters and the Balance is quietly running in the background, simultaneously as the hidden sight of the trinity (Thoughts, Beliefs, Emotions) are in harmony as one. Let there Be Life Made Manifest! The O is the Circumference yes? ENCE = a suffix to represent "a state of"
Circumpunct. Circle. What is the point? What is on the in-side from the out-sides of the Half? Is it not the Fifth Element? Dreams, Astral, Impulses, Feeling, Thoughts, Belief, Emotion, Intuition, Sight, Breath, Hearing, Spontaneity, All Inner Senses and Dimensions, Every Cell In Our Bodies Are Worlds! Like a breath do we take in what we see and translate it into thoughts, beliefs and emotions. Latent now with life. Then we ejaculate them by choice. Translate your dreams. Create in your dreams. The point, to intentional suffering, is NOT to suffer. Meaning - If you see pain do not give pain to resolve pain. Do the opposite. Ease not dis-Ease. Ease your suffering by choosing to create the opposite from what you have been. Find out what you get out of doing the things you do. 22/7 7/22 <---- Can be a hammer to crush and destroy you, or to build The Great House. When you see the world now - those are WORLD perceptions coming together as one. Gestalts of energy magnetically binding to each other. But no one can ever take your fire or your soul. They can not "have it". But you can THINK you are giving it to them. This applies to Voodoo Medicine as well. They can not cure you unless you believe they can. And they know this. There is ALWAYS a way out. Change your perspective. Per-SPECT-ive. SPECKed. Concentrated energy. Latent with life. FOCUS. Reflection and Truth. To Be or Not to Be. Simultaneous Timed Balancing of the Mass of what you Percieve. You will never leave this place and Go with The Gods , if you feel as a victim. The Gods do not come Kneeling. They stand knowing of ThySelves. ABLE as I AM not "My Ya". With all reincarnated Selves with Them. Joined as One. Uniting the fragments. Manifest that into the Electromagnetic World of Mattering Matter starting from the inside. To FEEL I AM. We CAN! By changing your definitions and interpretations. Learning the English Language is a great wonderful tool to help ground you in your efforts. Grounding as you stand on the ground and be ground-firm and Able. The cain can aid and is some support should you need it, but you have a CHOICE to use it or Be the God with all your fragments(Cells) that are worlds unto themselves. Magnetically drawn from the dark fertility. To rise up into creation, simultaneously reigning from the cosmic brain in your capstone to fill the Buffer Pool...And Birth .......Your True Self. Perhaps our togetherness could help ease the pain of this Birth? Putting the pieces back together? How do you really spell - "Israel" ?